Singing group celebrating R&B, soul and gospel music, based in Baltimore, Maryland. 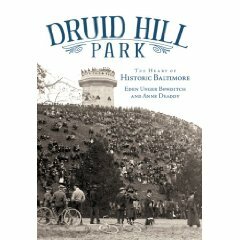 Dru Hill is the pet name of Druid Hill Park, a leafy tract of land that once stood comparison with Central Park (New York) and Fairmount Park (Philadelphia). The park - like its two above-mentioned 'competitors' – is one of the oldest landscaped public parks in the United States.